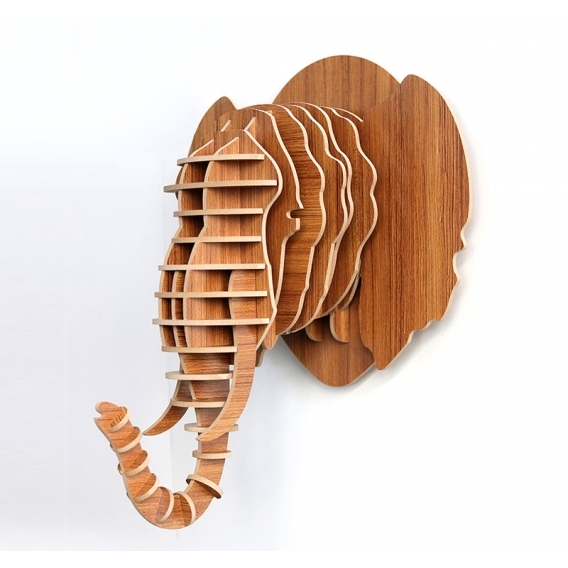 The impressive pachyderm on a wood wall decoration ! This animal head trophy is entirely hand made by our deco artists. 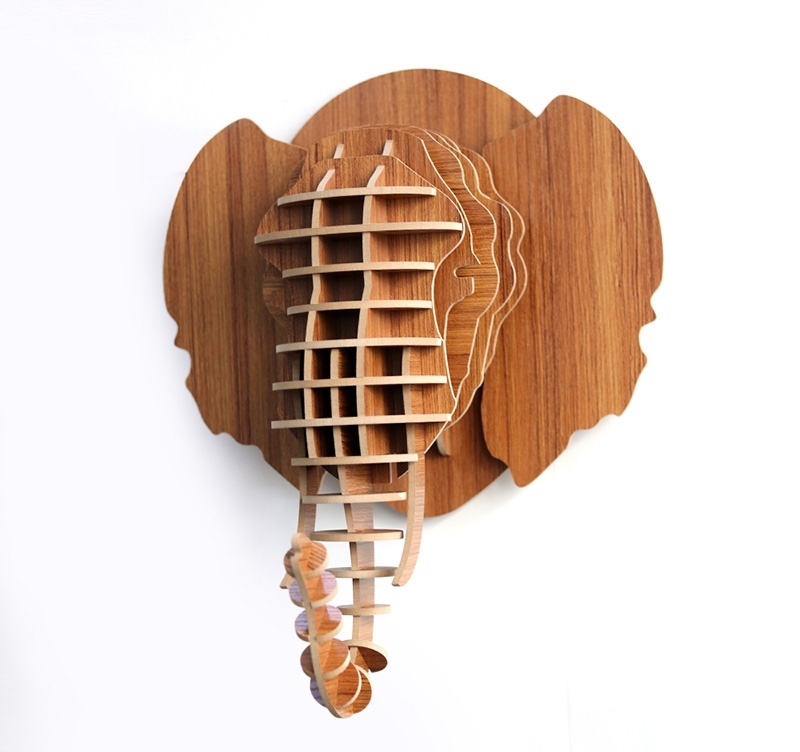 The dimensions of this elephant wall trophy are 44 x 38 cm. Free delivery as a kit in metropolitan France and Belgium, it will only take you a few minutes to put it together and hang it up this design wall decoration. 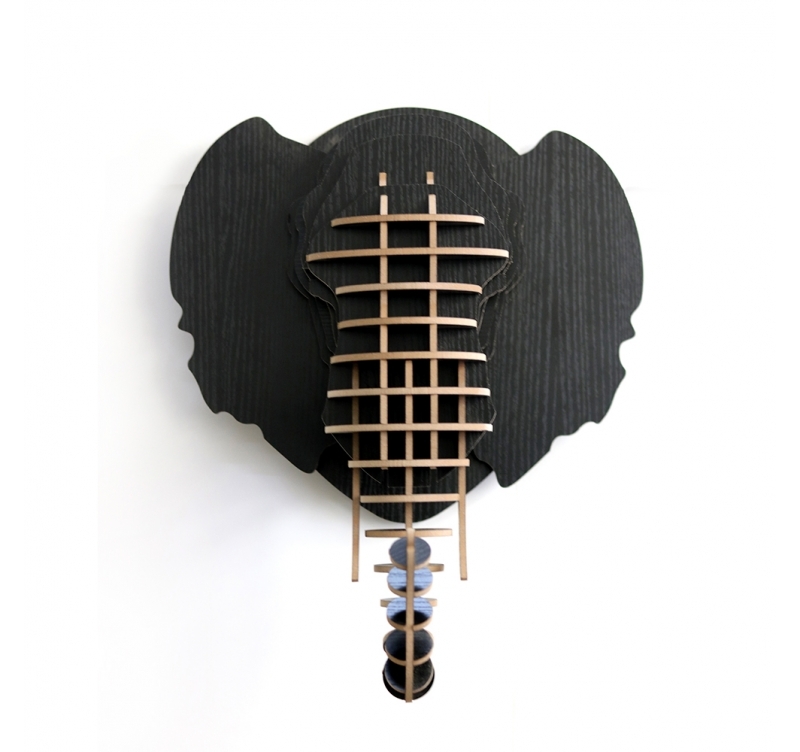 A wood wall elephant head for your interior decoration ! Artwall and Co proposes you to decorate your walls with a series of design wall decorations of the most famous animals of the world ! 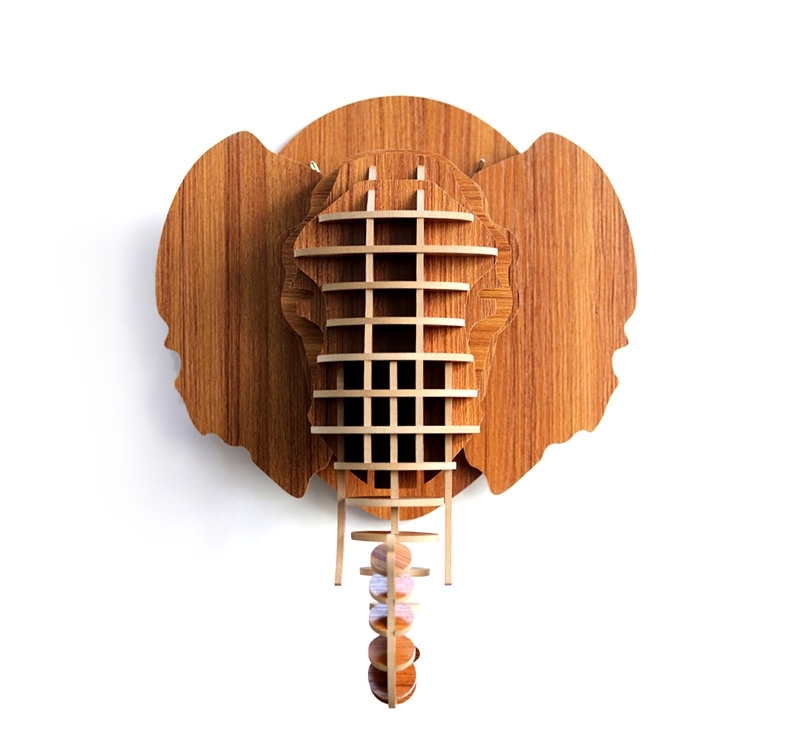 Here is a modern elephant wall trophy perfect for a child’s bedroom or an original lounge. 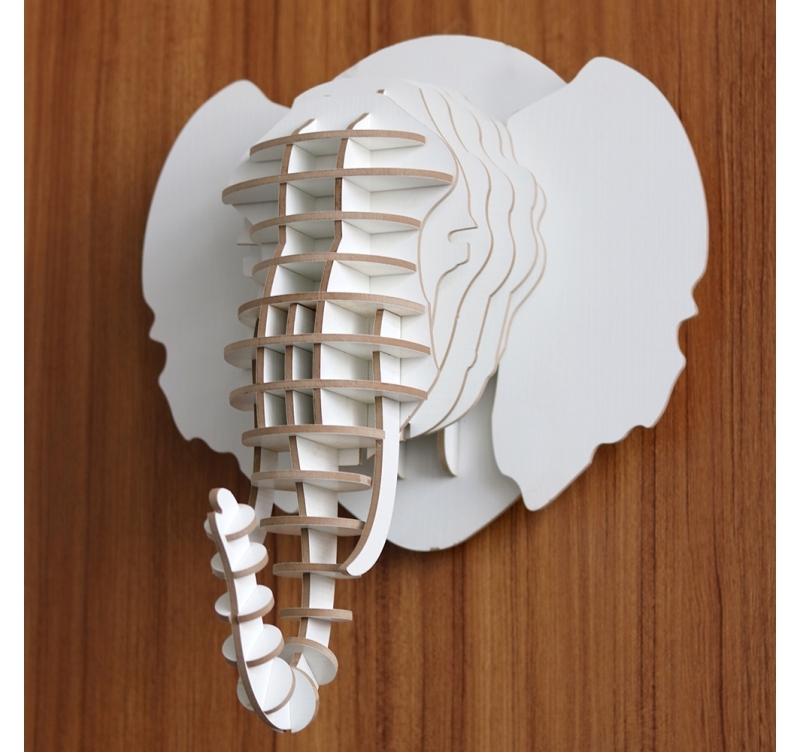 The creation concept of this elephant wall decoration will allow you to integrate a unique and ever trendy touch. This wall deco is delivered as a kit free in metropolitan France and Belgium in its personalised Artwall and Co box. 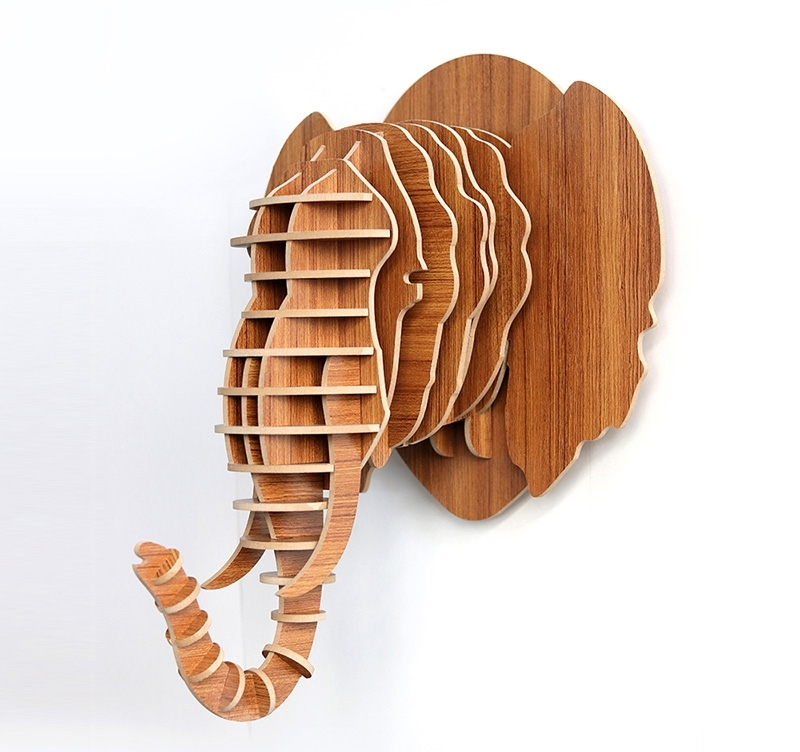 All you have to do is put the different pieces of this animal head wall decoration together to give a touch of design to your home in a few minutes only. 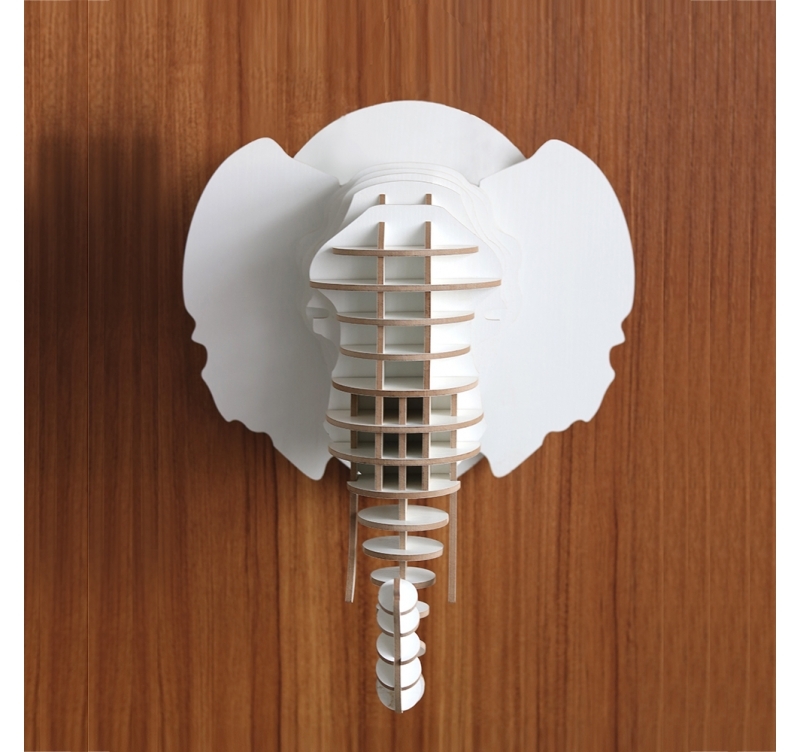 With its carved in hanging slot, this elephant trophy decoration comes in different sizes to meet all your wishes.